R. Adams Dudley M.D., M.B.A.
Award Year: 2004 Health care performance measurement and reporting is receiving a great deal of attention as a way to encourage providers to deliver better care. Yet several murky areas remain about what to measure, how to measure it, and how best to use health care performance measures. R. Adams Dudley, M.D., M.B.A., considers several key policy and technical issues in his project, Improving the Performance of Performance Reporting and Quality-Based Purchasing Initiatives. These issues include prioritizing possible measures, reconciling the varied measurement preferences of stakeholders, tackling risk adjustment and performance grading, and addressing special cases such as safety net and rural providers. Partnering with the National Quality Forum, Consumers Union, the Leapfrog Group, the National Business Coalition on Health, the Blue Cross/Blue Shield Association, and the American Hospital Association, Dr. Dudley proposes to help design more effective performance reporting and incentive programs that could actually improve the quality of U.S. health care. R. Adams Dudley is a professor of medicine and health policy at the University of California, San Francisco. He is the director of the UCSF Center for Healthcare Value and the associate director for research at UCSF's Institute for Health Policy Studies. His major research interests include developing measures of quality of care, assessing the impact of quality-based or value-based purchasing, and financial risk adjustment (adjusting premiums and capitation rates to reflect the severity of illness of enrollees). He has served as a consultant on health policy issues to the Institute of Medicine's National Roundtable on Quality of Care, Committee on Quality of Health Care in America, and National Cancer Policy Board, to the Joint Commission on Accreditation of Healthcare Organizations, to the World Health Organization, to the Pacific Business Group on Health, General Motors, the Leapfrog Group and other large employers, and to the American Thoracic Society and other medical societies. 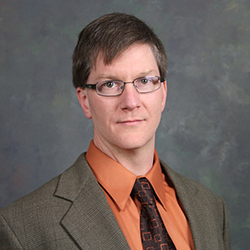 Dr. Dudley has three primary research projects currently. The California Intensive Care Outcomes (CALICO) project involves developing public reports of hospital-specific ICU quality of care for all hospitals with ICUs in California. The California Hospital Assessment and Reporting Task Force (CHART), which he leads, has convened representatives of consumers, purchasers, health plans, and hospitals in California to establish a consensus, universal, robust hospital performance reporting system. He also is working with public and private purchasers to summarize the research on quality-based purchasing strategies and identify optimal approaches to health care purchasing. Lin, G.A., Redberg, R.F., Anderson, H.V., Shaw, R.E., Milford-Beland, S., Peterson, E.D., Rao, S.V., Dudley, R.A. Impact of Changes in Clinical Practice Guidelines on Assessment of Quality of Care. Medical Care, 2010, 48(8): 733-8. Bardach, N.S., Chien, A.T., Dudley, R.A. Small Numbers Limit the Use of the Inpatient Pediatric Quality Indicators for Hospital Comparison. Academic Pediatrics, 2010, 10(4): 266-73. Kernisan, L.P., Lee, S.J., Boscardin, W.J., Landefeld, C.S., Dudley, R.A. Association between Hospital-Reported Leapfrog Safe Practices Scores and Inpatient Mortality. JAMA, 2009, 301(13): 1341-8. Lin, G.A., Dudley, R.A. Editorial, Patient-Centered Care: What Is the Best Measuring Stick. Archives of Internal Medicine, Sep 29 2009, 169(17): 1551-2. Dudley, R.A., Yoo, E.J. Evaluating Telemedicine in the ICU. JAMA, Dec 2009, 302(24): 2705-6. Werner, R.M., Dudley, R.A. Making the 'Pay' Matter in Pay-for-Performance: Implications for Payment Strategies. Health Affairs, 2009, 28(5): 1498-1508. Rhoads, K.F., Konety, B.M., Dudley, R.A. Performance Measurement in Public Reporting and Pay-for-Performance. Urology Clinics of North America, 2009, 36(1): 37-48. Rothman, A.A., Park, H., Hays, R., Edwards, C., Edwards, C., Dudley, R.A. Can Additional Patient Experience Items Improve the Reliability of and Add New Domains to the CAHPS Hospital Survey? Health Services Research, 2008, 43(6): 2201-22. Werner, R.M., Goldman, L.E., Dudley, R.A. Comparison of Change in Quality of Care between Safety-Net and Non-Safety-Net Hospitals. JAMA, 2008, 299(18): 2180-7. Lin, G.A., Dudley, R.A., Lucas, F.L., Malenka, D.J., Vittinghoff, E., Redberg, R.F. Frequency of Stress Testing to Document Ischemial Prior to Elective Percutaneous Coronary Intervention. JAMA, 2008, 300, 15, 1765-73. Rhoads, K.F., Ackerson, L., Jha, A., Dudley, R.A. Quality of Surgical Outcomes in Hospitals with High Percent Medicaid Patients. Journal of the American College of Surgeons, 2008, 207(2): 197-204. Goldman, L.E., Dudley, R.A. U.S. Rural Hospital Quality in the Hospital Compare Database - Accounting for Hospital Characteristics. Health Policy, 2008, 87(1): 112-27. Kuzniewicz, M., Vasilevskis, E., Lane, R., Dean, M., Trivedi, N., Rennie, D., Clay, T., Kotler, P.L., Dudley, R.A. Variation in ICU Risk-Adjusted Mortality: Impact of Methods of Assessment and Potential Confounders. Chest, 2008, 133(6): 1319-27. Tseng, C., Dudley, R.A., Brook, R., et al. Elderly Patients' Preferences and Experiences with Doctors in Managing Their Drug Costs. Journal of the American Geriatrics Society, 2007, 55(12): 1974-80. Tseng, C.W., Mangione, C.M., Brook, R.H., Keeler, E., Dudley, R.A. Identifying Widely Covered Drugs and Drug Coverage Variation among Medicare Part D Formularies. JAMA, 2007, 297(23) 2596-602. Chien, A.T., Dudley, R.A. Pay for Performance in Pediatrics: Proceed with Caution. Pediatrics, 2007, 120(1): 186-8. Rosenthal, M., Dudley, R.A. Pay-for-Performance: Will the Latest Payment Trend Improve Care? JAMA, 2007, 297(7): 740-3. Goldman, L.E., Henderson, S., Dohan, D.P., Talavera, J.A., Dudley, R.A. Public Reporting and Pay-for-Performance: Safety-Net Hospital Executives' Concerns and Policy Suggestions. Inquiry, 2007, 44(2): 137-45. Goldman, L.E., Vittinghoff, E., Dudley, R.A. Quality of Care in Hospitals with a High Percent of Medicaid Patients. Medical Care, 2007, 45(6): 579-83. Robinowitz, D.L., Dudley, R.A. Public Reporting of Provider Performance: Can It Improve Quality? Can Its Impact Be Made Greater? Annual Review of Public Health, 2006, 27: 517-36. Dudley, R.A. Pay-for-Performance Research: How to Learn what Clinicians and Policy Makers Need to Know. JAMA, 2005, 294(14): 1788-93.